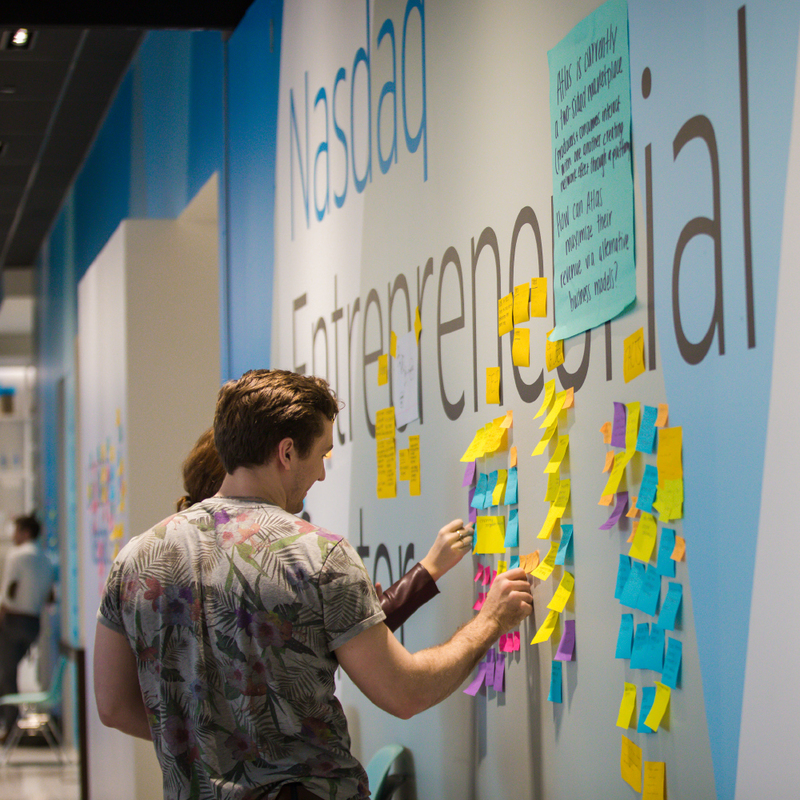 The Lehigh@NasdaqCenter (L@NC) is an exclusive academic in-residence collaboration between Lehigh University and the Nasdaq Entrepreneurial Center. It launched in January 2017 with the mission of educating, connecting, and inspiring the next generation of entrepreneurs and innovators. 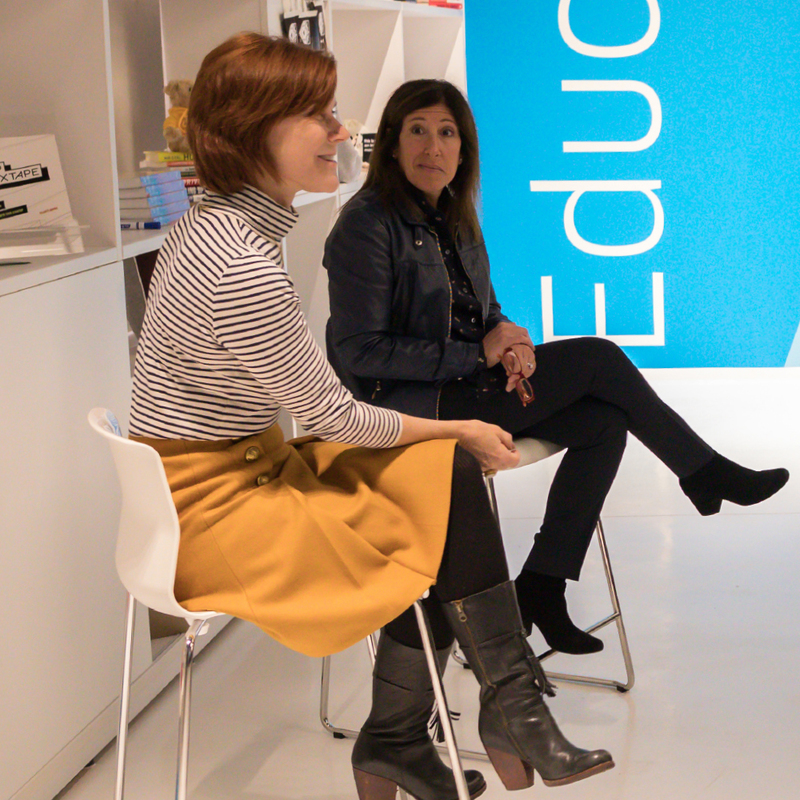 Visit our Innovation Hub at 505 Howard Street in the heart of San Francisco. L@NC offers multiple ways for students across Lehigh’s four colleges to take advantage of cutting-edge academic programming. 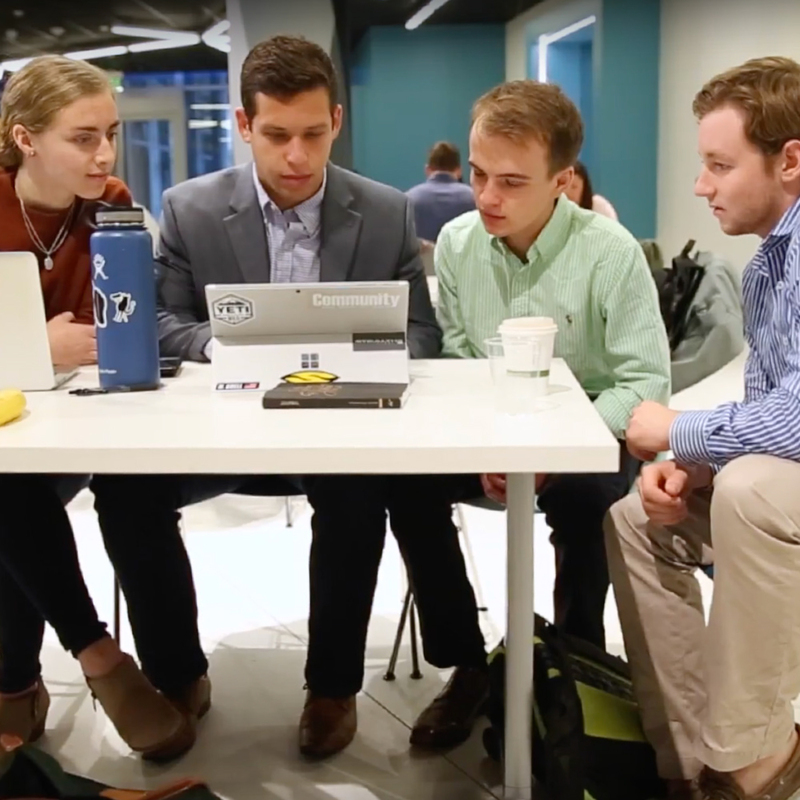 The L@NC remote courses enrich the educational experience for Lehigh students by bringing Silicon Valley ecosystem players into the classroom (virtually). These founders, funders, executives and social innovators are live streamed via videoconference from the L@NC to students taking courses on campus in Bethlehem. Melpomene Katakalos, assistant professor of theatre, has been a freelance scenic designer, predominantly in the San Francisco Bay area, designing over ninety productions at several theatre companies, educational institutions and festivals. As L@NC Artist-in-Residence, Professor Katakalos is designing programs that bridge entrepreneurship and the arts. 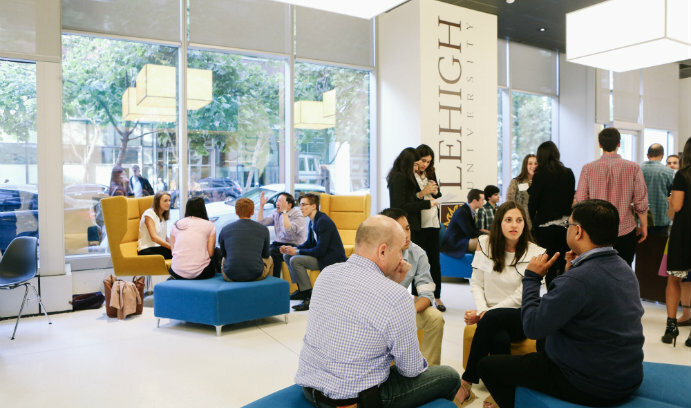 Summer program links Lehigh students and entrepreneurs. As Lehigh expands its presence on the West Coast, students participate in the latest LehighSiliconValley trip. 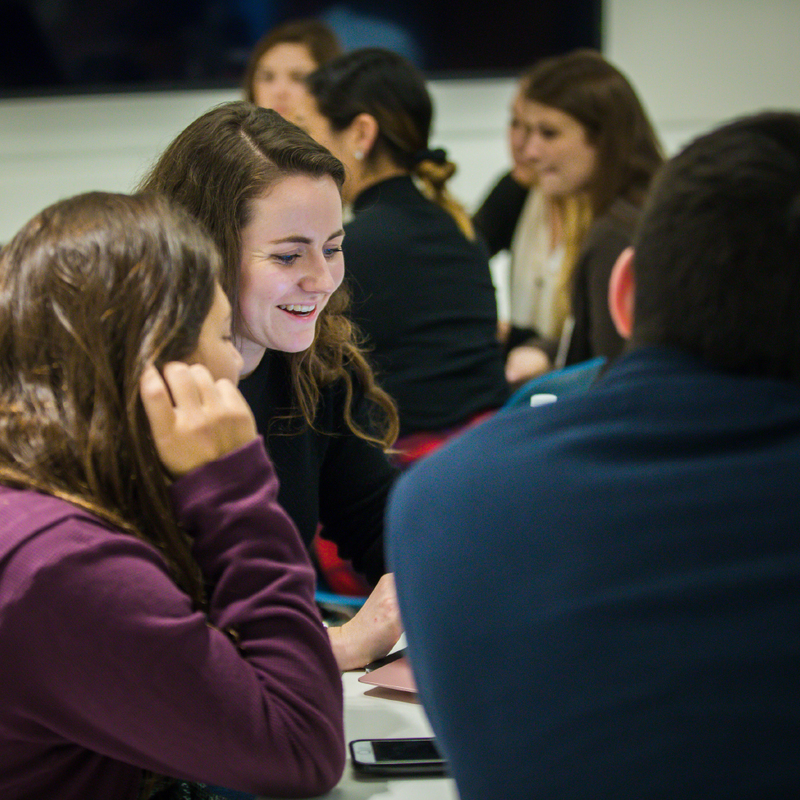 Lehigh students from all areas of study spent Jan. 2-8 in a “live case” learning environment in the Silicon Valley. 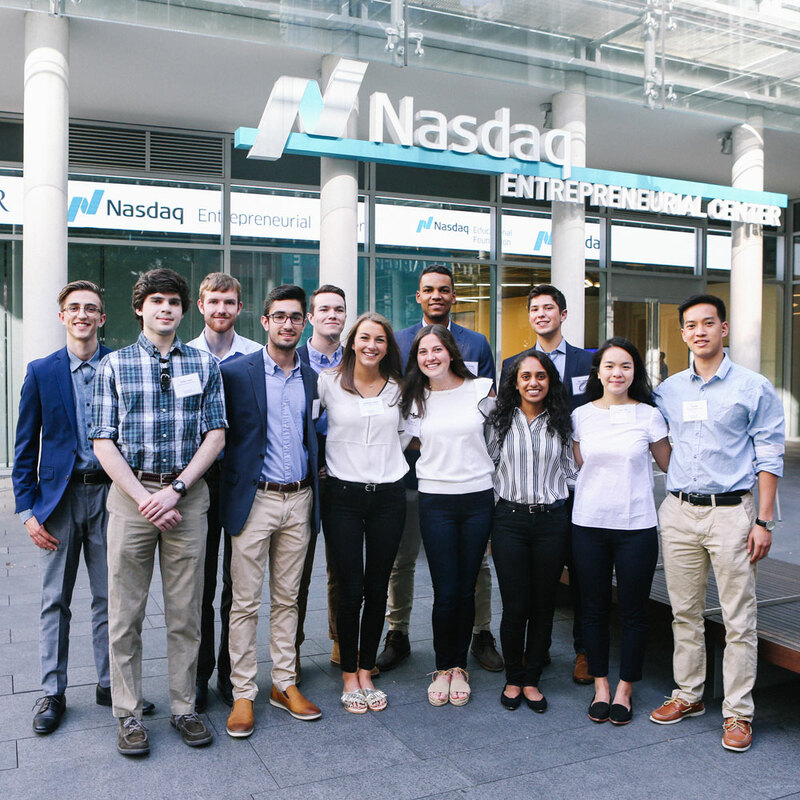 Lehigh@NasdaqCenter offers a campus extension for Lehigh students based in the heart of San Francisco, embedded in one of the most active startup scenes in the world. 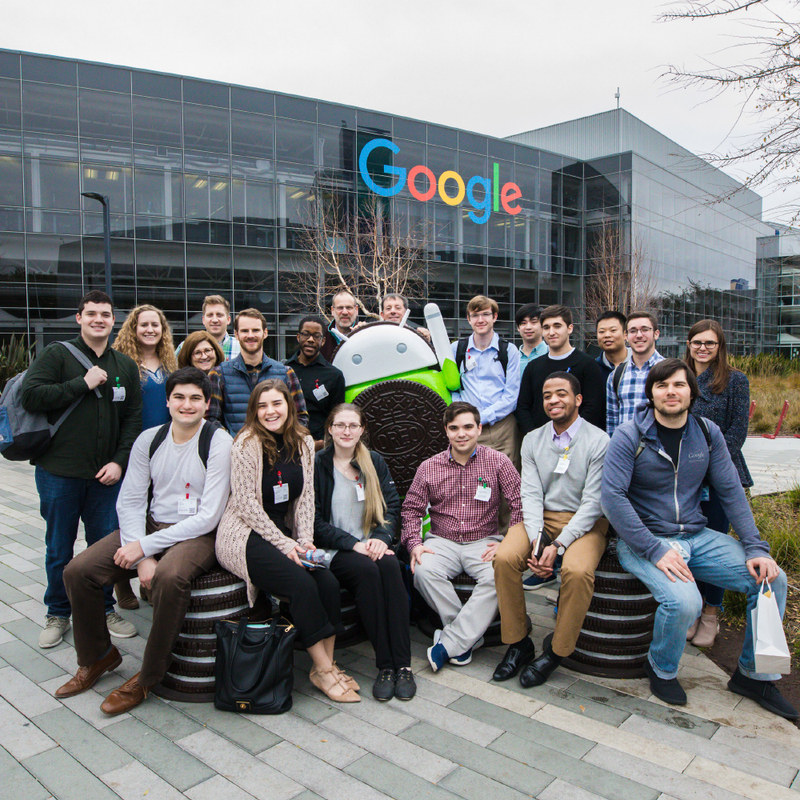 LehighSiliconValley students in the Software Engineering track tour the expansive Google Campus in Mountain View, California. There, they met with Jiyuan Yao ’17G, right, a Lehigh electrical engineering Ph.D. alumnus who works at Google as a software engineer. 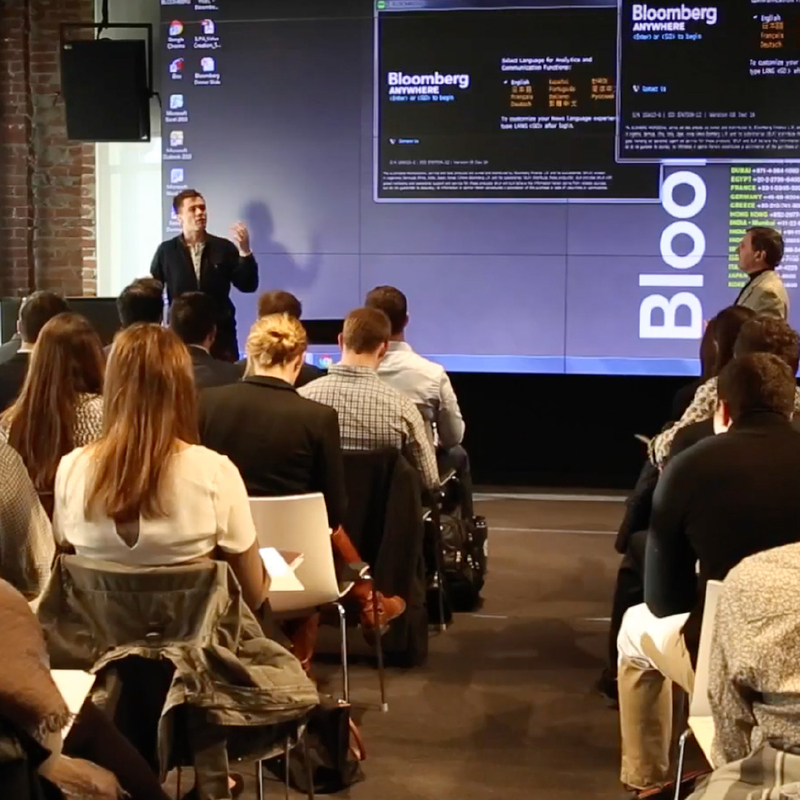 Startup Academy celebrated its first graduating class at a ceremony at the Nasdaq Entrepreneurial Center in San Francisco. For 10 weeks over the summer, 12 CBE students gained practical experience by interning with one of six early to mid-stage startups in the San Francisco Bay area: Krome Photos, Wexus Technologies, Topia, StudyBlue, Buzzboard, and Homebase. 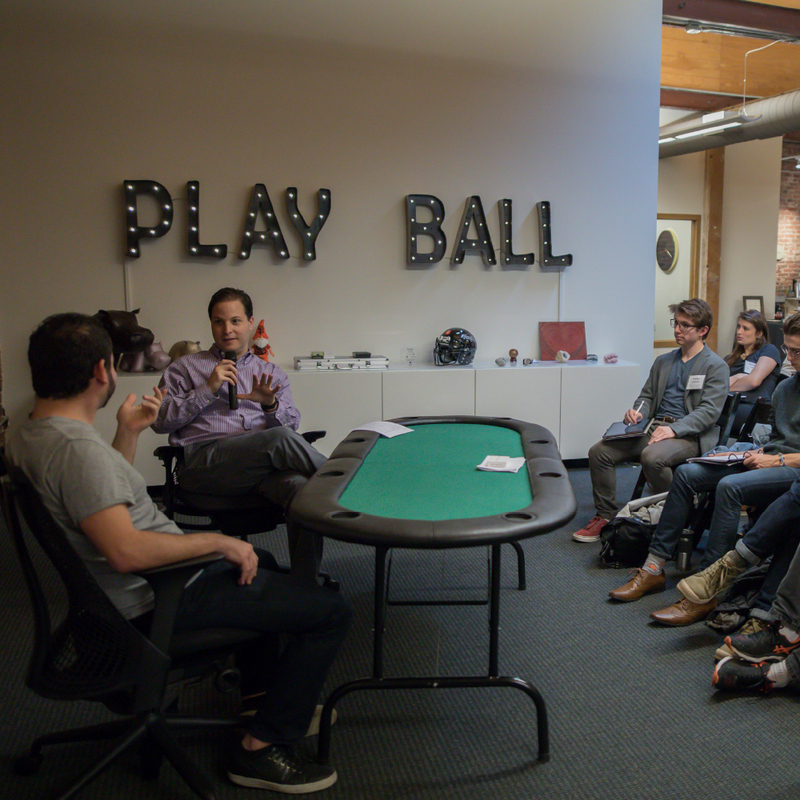 At Bullpen Capital, an early-stage venture fund founded by Paul Martino ’95, students heard from Justin Bailey, founder/CEO of crowdfunding company Fig, and explored a company case study with Martino and Mark Lawrence, CEO/founder of parking reservation service SpotHero, a company in which Bullpen Capital has invested. Speakers who visit Lehigh@NasdaqCenter often come away with a great impression of the Lehigh students, their strength of talent, engagement and authenticity. Teri Llach, chief marketing officer of BlackHawk Network, a global financial technology company and Alita Friedman ’87, LehighSiliconValley lead, FinTech instructor and CEO of Alita’s Brand Bar brand consulting house, speak to LehighSiliconValley students in the FinTech track at Lehigh@NasdaqCenter. 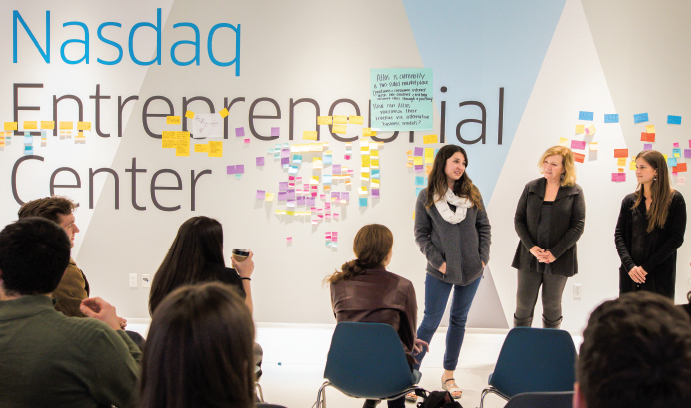 LehighSiliconValley students meet in teams during the “Design Sprint,” in which they used design thinking to develop innovative ideas for four early-stage companies affiliated with Nasdaq Entrepreneurial Center’s Milestone Makers program.